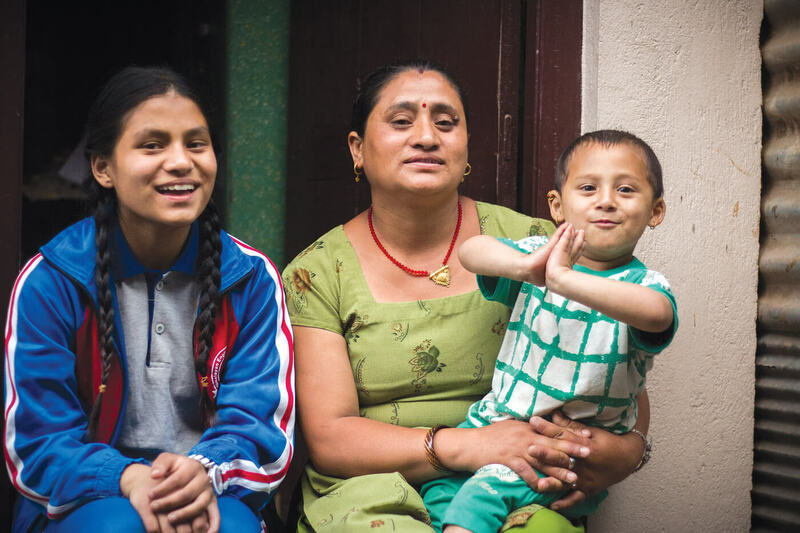 It was a warm Saturday morning three years ago when Rasmila Awal walked over to a nearby shop to buy provisions, leaving her four-month-old baby Sonish and 10-year-old daughter Sonia at home. The baby was asleep and Sonia was watching tv when the whole building started rattling and shaking. Sonia remembers plaster falling from the ceiling and a big gash appearing on the walls. Instinctively, she ran out of the house, remembered she had left her little brother inside, rushed back in, picked up the baby and was trying to get out when it collapsed on top of them. She tried to hold on to her little brother, but as the walls came down on top of her, she lost her grip on the baby and was knocked unconscious. At the shop, Rasmila felt the ground swaying and knew immediately that it was an earthquake. She ran back, and crumpled on the ground when she saw her house in ruins with the two children inside. “My feet were shaking, I couldn’t get up, I wanted to scream for help, but no sound came out of my mouth,” Rasmila recalls. The neighbours immediately started digging, and soon saw a girl’s leg sticking out of the debris. Sonia was alive, but unconscious. The rescuers dug some more but couldn’t find Sonish. The ground shook restlessly with aftershocks as night fell. Rasmila kept a silent vigil even after rescuers gave up the search, and neighbours prepared to sleep out in the open. Just then, she heard a feeble wail from beneath the ruins. Army rescuers were called in, and after digging right through the night, they finally brought out Sonish, covered in dust but with barely a scratch on him. He had been under the rubble for 22 hours. “I cannot describe that feeling of relief, I hugged him tight, all my prayers were answered,” remembers Rasmila. The baby started sucking his thumb, and looked around seemingly to ask what the fuss was all about. Three years later, it is Sonish who runs to the door when he hears the bell ring. He is a playful and inquisitive boy, and is excited to have visitors. Rasmila’s husband is a truck driver and is out most of the day. The family is still homeless, and live with the two children in one rented room. There is talk of land being appropriated to widen the road, so the house has not been rebuilt. The Nepal Army, which helped in the rescue has given Sonish and Sonia scholarships till they go to college. After he finishes primary school, Sonish will attend the Army’s high school in Sallaghari. Sonish and his mother with reporter Amul Thapa near the house where he was buried for 22 hours in a picture taken few months later. Amul Thapa was in his newsroom in Baneswor when the building started shaking violently. His reporter’s instincts kicked in, and he grabbed his camera bag and rushed to Dharara where 60 people had been killed when the tower collapsed. “Instead of taking pictures, we were helping rescue people from under the rubble,” Thapa recalls. 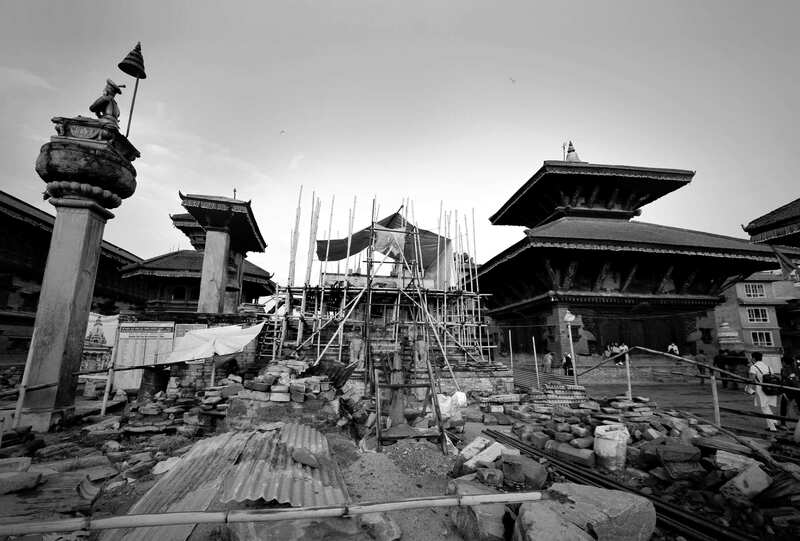 Only then did he decide to call home to find out how his family was doing in Bhaktapur. They told him about the great damage in the town, and how there was one house that had collapsed trapping children underneath the rubble. 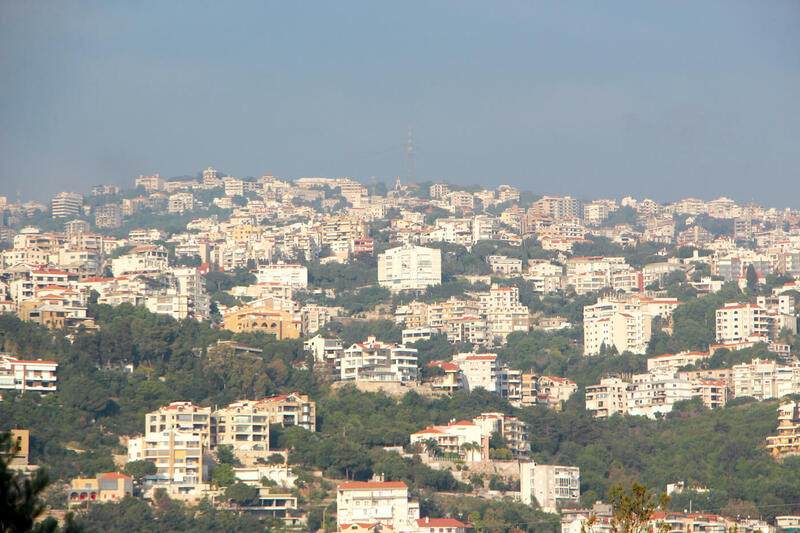 “The soldiers were digging frantically and the family was standing around weeping and praying. 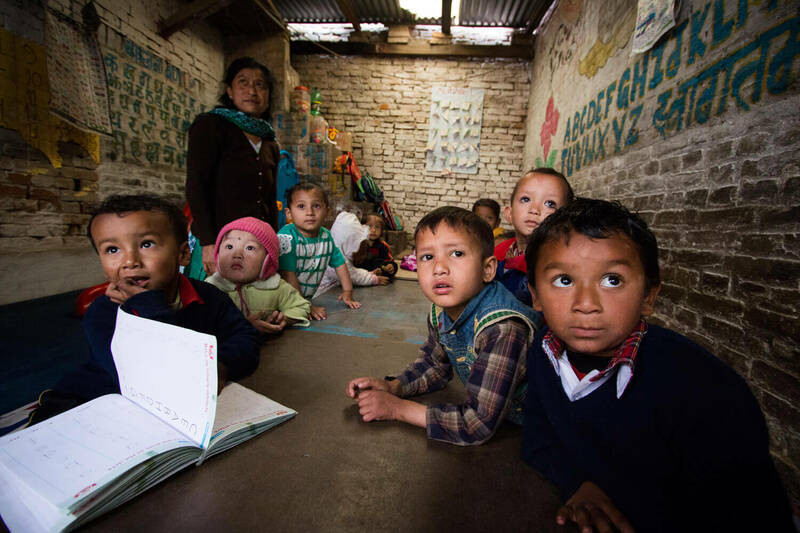 It didn’t feel right to be taking pictures, so I went home,” Thapa says. Next morning, he went back to the collapsed house. The soldiers were still digging because they could hear the boy’s cries from beneath the debris. 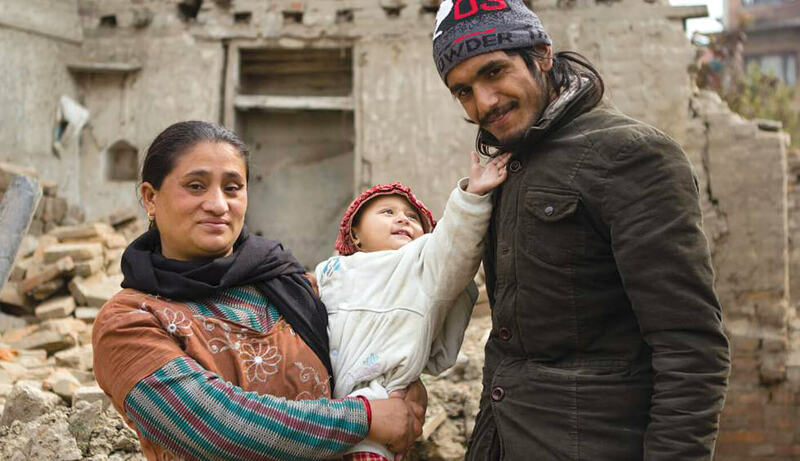 At about 10am, they found four-month-old Sonish Awal trapped underneath a wooden beam, which had actually protected him as the walls and floors collapsed all around. Amul Thapa’s photo of Sonish in Nepali Times of 1 May 2015. 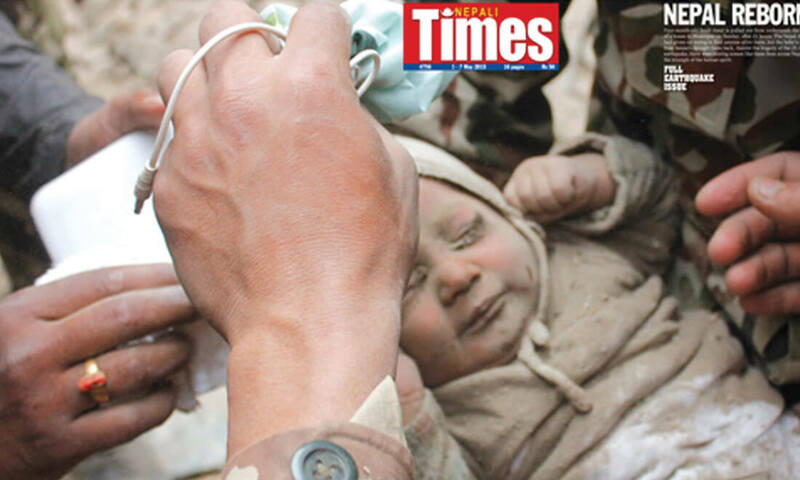 Thapa clicked away: Rasmila’s tears of sorrow had turned into tears of joy, the baby was covered in dirt as he was extricated carefully from the rubble, and finally the now-famous photograph of rescue soldier Dipak Rai holding Sonish up amidst applause and relief which made it to the folding front page of Nepali Times and Himal Khabarpatrika that week (above). 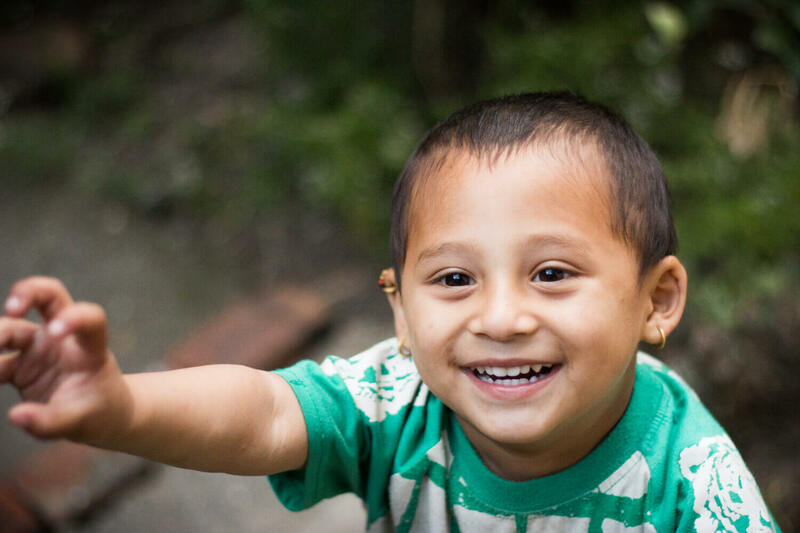 Thapa often visits the family and helps in any way he can. He now works for Naya Patrika.